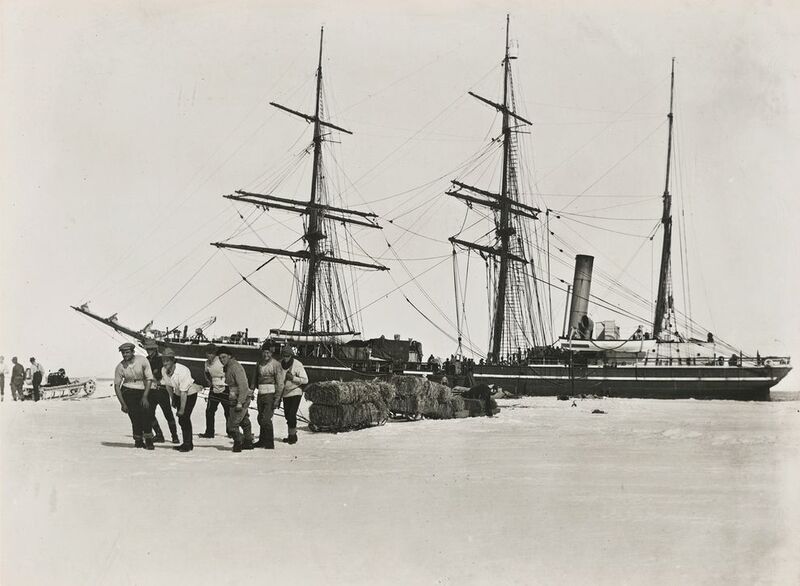 Captain Robert Scott’s South Pole team unloads supplies from the Terra Nova. Photograph by Herbert Ponting, National Geographic. Click to view original article on National Geographic.